Ten years after Gazprom started development of the huge natural gas reserves in Yamal, the company opens the third and final part of its Bovanenkovo project. Leader of Gazprom’s subsidiary unit in Ukhta symbolically pushes the button and the new 970 km long pipeline is officially launched. «I congratulate you with this result,» Putin responded. «It is significant for the whole economy of Russia,» he underlined. Wednesday’s ceremony was transmitted in a direct video between Putin’s office and three of Gazprom’s key project sites. With the official launch of the new pipeline, one of Russia’s biggest natural gas fields now delivers with full capacity. Bovanenkovo holds about 4,9 trillion cubic meters of natural gas and will be able to deliver as much as 115 billion cubic meters per year for as long as 110 years. It has been Gazprom’s top priority since it in 2008 started construction works in the remote tundra lands of the Yamal Peninsula. Transformation of the area has been whopping. Previously, here was nothing but desolate tundra inhabited by reindeer and herders. Now a Gazprom company town with several thousand people is on site. An airport provides direct flights to Moscow and other key Russian cities and a 572 km long railway line is connected with the national rail grid. The natural gas flows towards consumers in the EU. Four major west-bound pipelines have been built from the Yamal Peninsula, through the Komi Republic and to Torzhok, the hub not far from St.Petersburg. 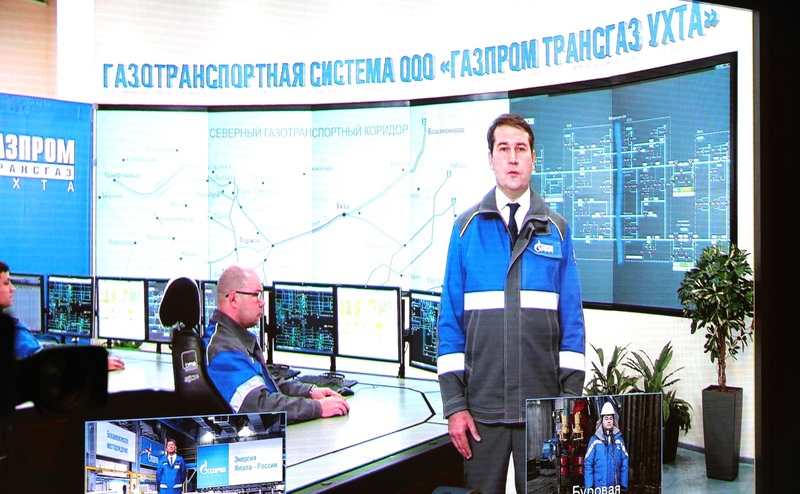 Company subsidiary Gazprom Transgaz Ukhta manages all the infrastructure, including the two Bovanenkovo-Ukhta pipelines and the two Ukhta-Torzhok pipelines. The natural gas from Yamal will ultimately be instrumental for feeding the North Stream-2, the pipeline that is currently being built through the Baltic Sea. Billions of dollars have been spent on the development of fields and infrastructure in the Yamal. And more is to come. In July this year, Gazprom announced that it is starting to develop the Kharasavey, a 2 trillion cubic meter field located on the southwestern side of Yamal. Construction works are due to start in 2019 and be completed in 2023. That includes the laying of a 100 km long pipeline to Bovanenkovo Annual production from Kharasavey will amount to 32 billion cubic meters per year. In addition comes the so-called Tambey fields, which hold an estimated 7,7 trillion cubic meters. 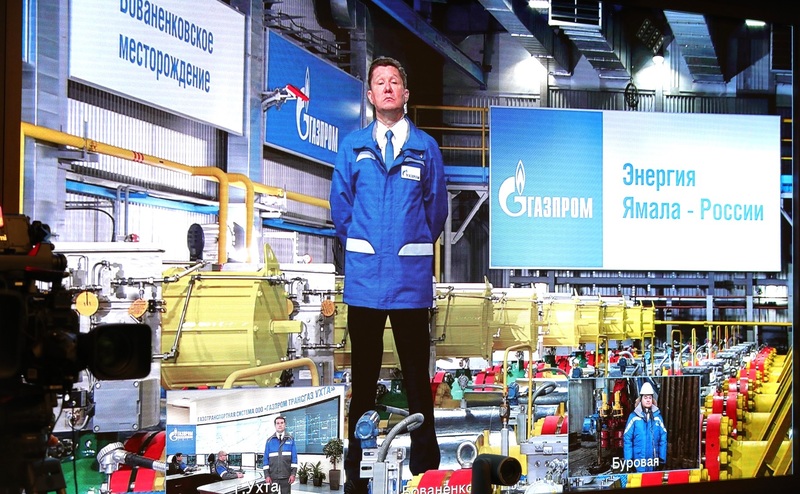 Gazprom is now getting ready to develop also these fields, company CEO Aleksey Miller said in Wednesday’s ceremony. The total volumes of natural gas in Yamal are estimated to almost 17 trillion cubic meters. «These are enormous and world-class reserves, which will allow Russia to confidently strengthen its energy security and provide reliable supplies to our foreign partners,» Vladimir Putin underlined.